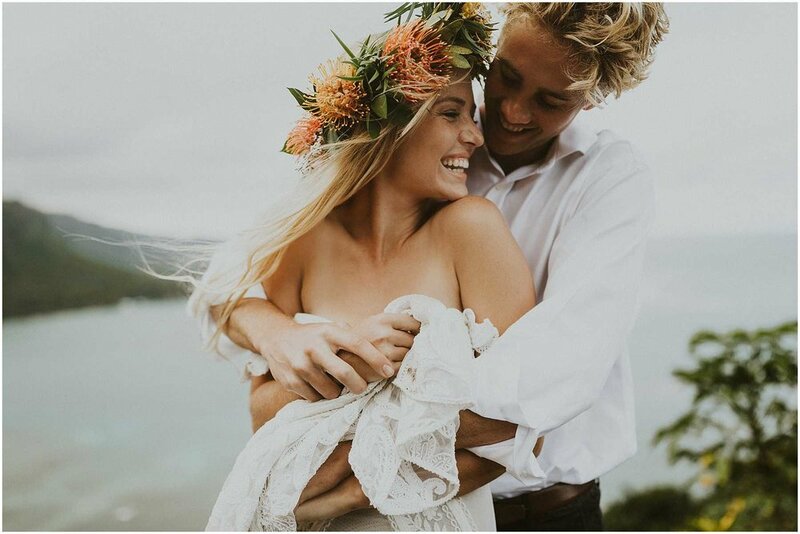 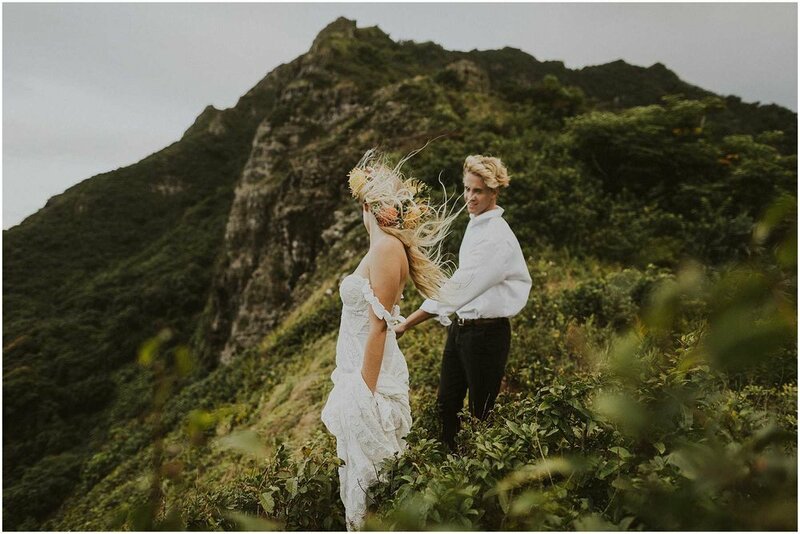 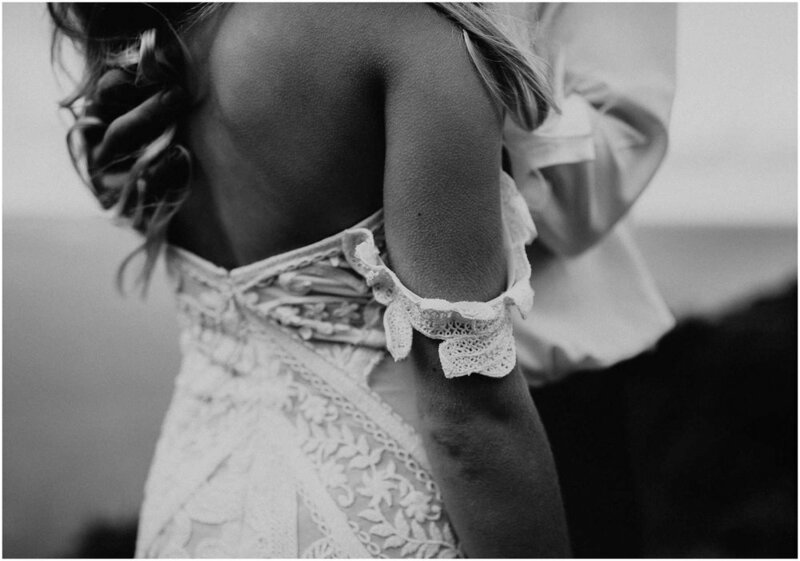 This hike in elopement shoot in Oahu is something I’ll never forget. 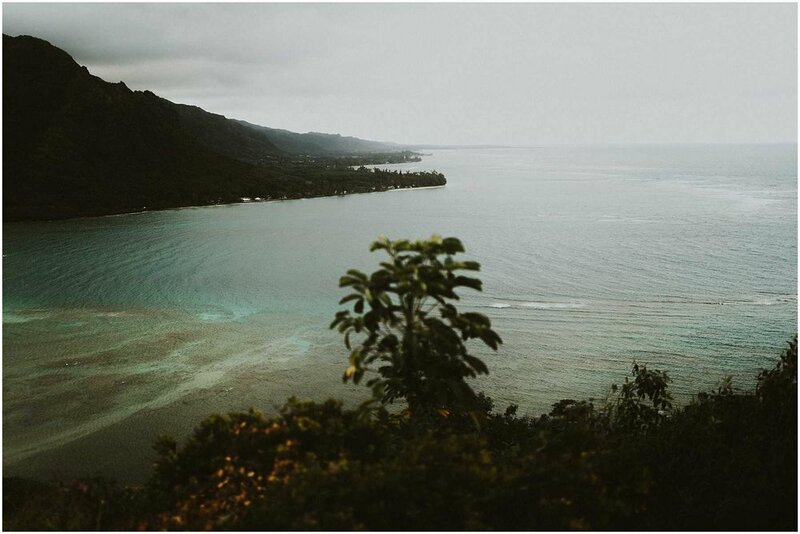 It had rained every single day for the last 4 days we were on Oahu and if you know anything about hiking in Hawaii, you don’t hike in the rain. 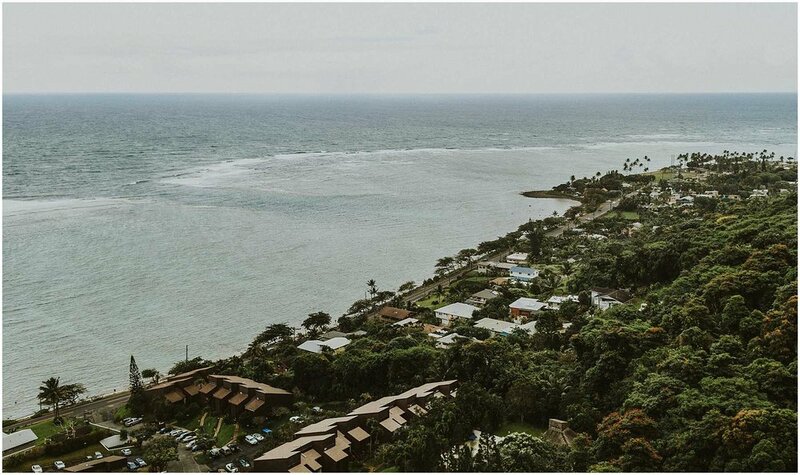 Most of the trails are very muddy, straight up, and can potentially be dangerous when attempted in the wrong weather. 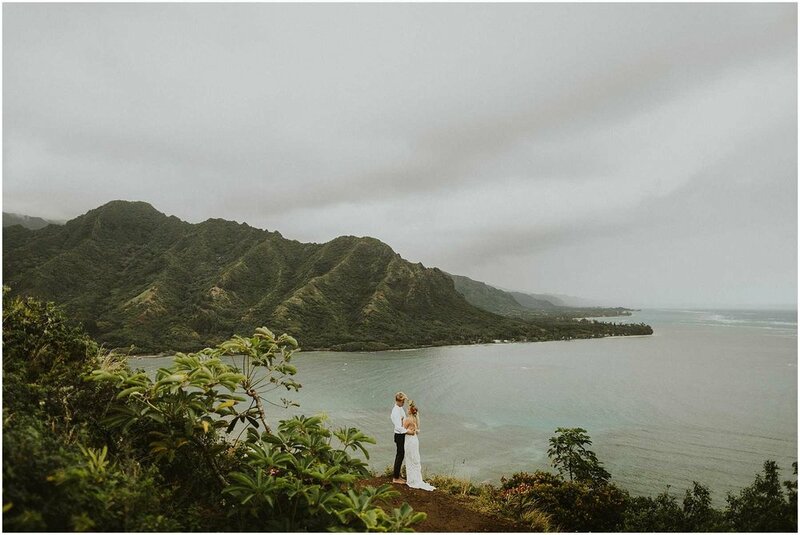 We planned to shoot on the beach, which would have been amazing too, but as the time to shoot got closer and closer the weather got better and better, so we went for it. 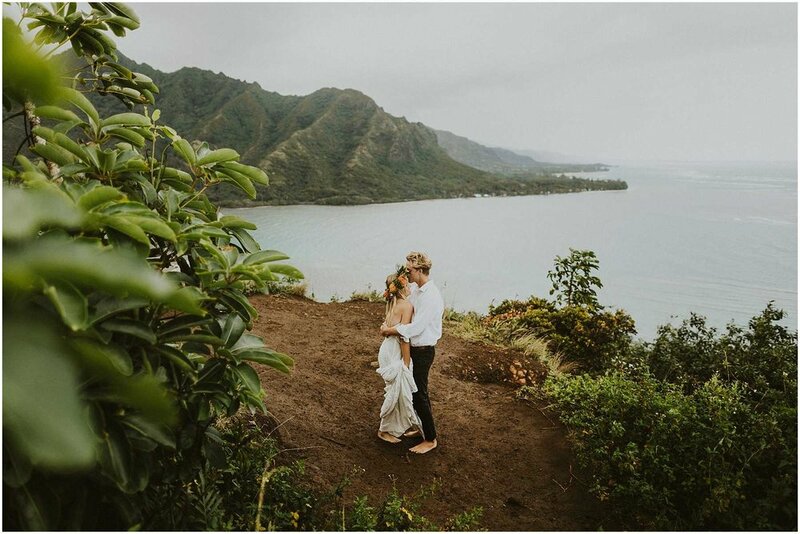 Everyone was basically on their hands and knees trying to make their way up this very slippery muddy trail to the top of Crouching Lion, but man was it worth it. 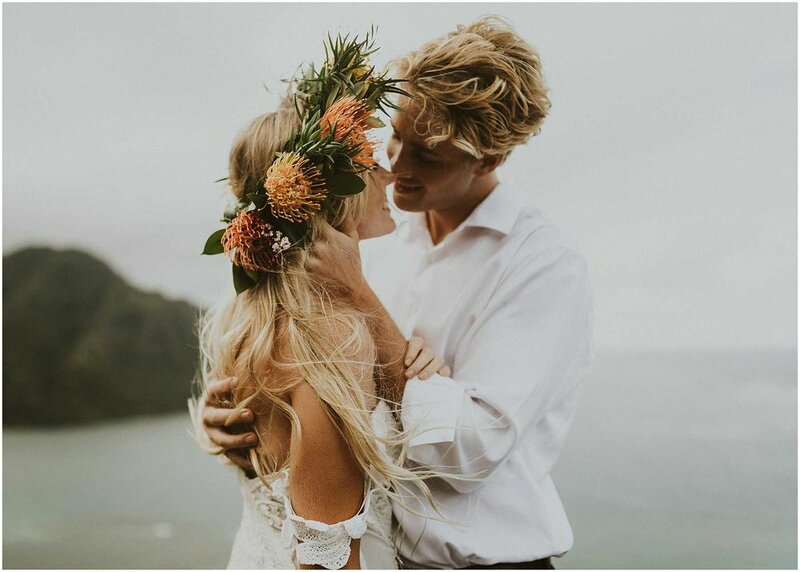 There’s something so innately adventurous about Hawaii and to choose it as a place for your elopement gives it an experience like no other place I’ve ever been. 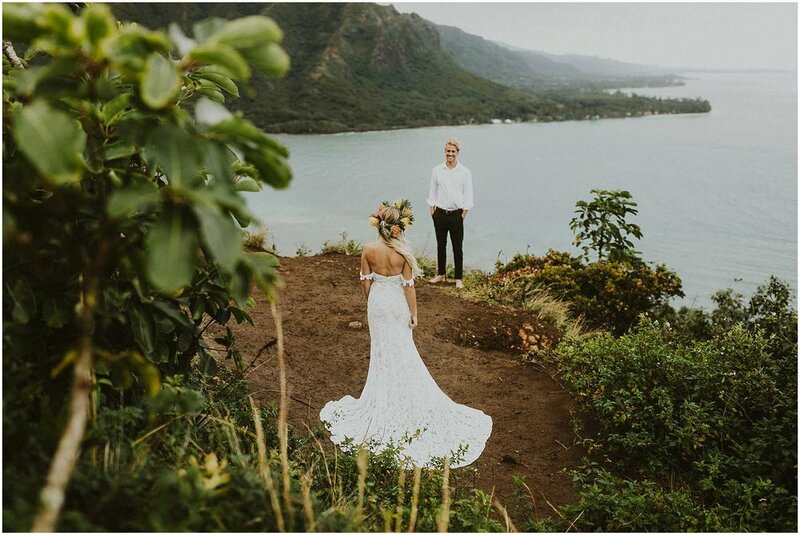 Huge thanks to Magnolia White Hawaii for lending us this dress, to Ocean Dreamer for the most incredible island inspired flower crown, and to all the attendees at Evolve Workshops who followed me up this trail.